At today’s National Ceremony for Anzac Day attendees will stand for one minute’s silence to remember all those who have lost their lives in wars and to reflect on what Anzac Day means. The minute’s silence has been part of Anzac Day since the first commemorations of Anzac Day on 25th April 1916. Digitisation of old documents allows us to see how the Anzac Day we know today was first conceived. As I noted in my post, The Emergence of Anzac Day, planning for the first anniversary of the landing of Australian and New Zealand troops at Gallipoli started early in 1916. 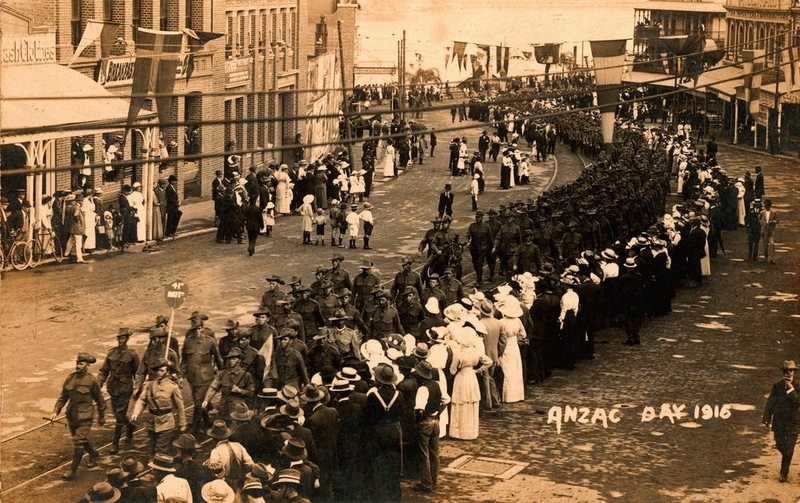 Queensland’s Anzac Day Commemoration Committee (ADCC) was formed at a public meeting in Brisbane on 10th January, 1916. This committee war chaired by the Premier of Queensland, T J Ryan, and included leaders of the Roman Catholic, Church of England, Presbyterian and Methodist churches, the Salvation Army, members of parliament, the mayors of Brisbane and South Brisbane, members of local councils and military representatives. The honorary secretary was an army chaplain, Canon D J Garland. Canon Garland was a Church of England priest who had years of experience in public advocacy. He had been instrumental in campaigns which led to religious education being reintroduced in state schools in Western Australia (1893) and Queensland (1910). Most recently he had been invited to New Zealand to lead a campaign to have religious education reintroduced in schools there. The outbreak of World War I had derailed this campaign. Garland moved back to Brisbane and became a military chaplain.